Fashion powerhouse Zalando continues to show strong growth and movement toward 3 billion euros in sales this year. The future of the company, however, lies in more technical solutions than the traditional e-commerce. 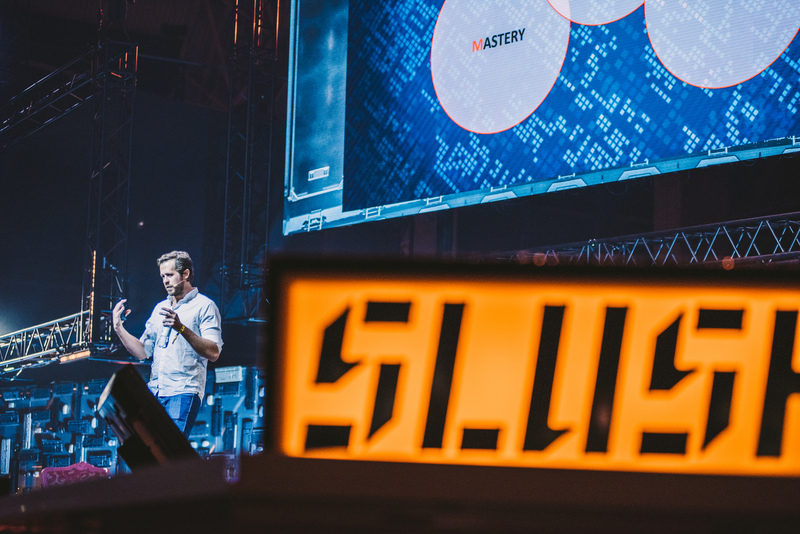 At Slush, Co-Founder and CEO Robert Gentz talked about how Zalando is reshaping the future of e-commerce, and how the company is moving from being a retailer to a fashion platform with data science at its core. “In ten years you might not have smartphones, but I’m pretty sure you will have clothes on”. Robert Gentz believes that the online clothing and shoe business will continue to grow. “I love fashion, because everyone needs it”. Zalando, Europe’s leading fashion platform, was founded in 2008 and made a breakthrough with free returns, immense marketing and cheap prices. This year Zalando is growing with 35 per cent. According to Gentz the company’s profit margin is 3-4 per cent and he believes they will be able to keep this pace for several years ahead. Gentz believes that Zalando still has room to grow in Europe. According to Gentz the size of the European fashion industry is 400 billion euros, and he points out that Zalando’s current turnover only is one per cent of this industry. Gentz continues talking about China’s advanced connectivity. In China, consumers are accustomed to obtaining their online purchases quickly. He explains that 90 per cent of online orders in China are delivered the same day. To illustrate, Gentz talks about an application where you simply press on a picture of a handbag, and then receive said handbag within three hours. Gentz elaborates that it was during a trip to China that he realized the direction that e-commerce is going. This is why Zalando wants to reposition themselves as a fashion technology company. With their new technology solutions, Zalando is trying to reach a larger scale of people. According to Gentz more than half of Zalando’s visitors are visiting the site on their mobile phones, while most of the purchases are made on computers. The company is currently working on developing applications that will bring all the different players in the fashion business together, both online and offline. Zalando has recently opened a technology hub in Helsinki that is concentrating on developing its customer-facing products, such as future mobile applications, user experience and design. Zalando is looking to hire local tech talent and also wish to engage with Finnish startups. The company is planning on recruiting as many as 200 employees to its Helsinki office over the next few years, which is great news for the Finnish technology industry. Marie is a business graduate. She is passionate about social media and always on the lookout for new adventures.